OKSoft Color Picker - an excellent and professional color picker software which can pick any colors from your PC screen with 14 formats. 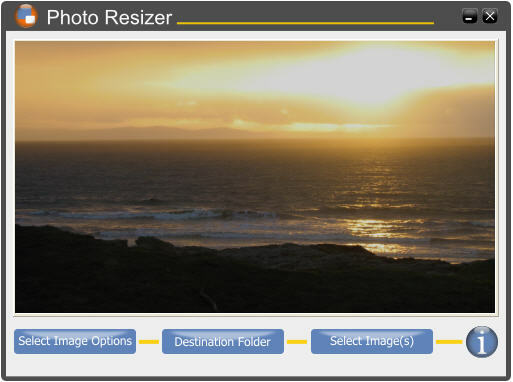 CSS Photo Resizer - resize photo's for the your desktop, web sites or mobile devices (PSP, mobile phone etc.) in 3 easy steps. WinWatermark - a professional visible transparent watermark creation software which helps you add text and image watermark to any pictures to protect them from unauthorized distribution. Image Compressor 5 - Image Compressor tool - Batch Compress JPEG digital photo file into smaller JPEG file and provides image resizing tool, rotating, watermarking, and several effects. Photo Optimizer - Compress, optimize, convert or resize GIF, JPEG, BMP, PSD, PNG, PCX, DCX, DIB, RLE, TGA, PBM, PGM, PPM, ICO, WMF, EMF, CUR and TIF digital photo images in batch. EDraw Flowchart software 3.1 - Help you visualize and structure information, add illustrations and drawings to your documents, such as business flowcharts, organization charts and so on. Turbo Photo 4.8 - Turbo Photo is a solution for all the digital camera owners, it is consist of two parts: Turbo Photo Album and Turbo Photo Editor. PeakStars MagicMedia - PeakStars MagicMedia is an easy to use thumbnail explorer that allows you to browse, manage, play and edit multimedia files on local network, and removable drives. Label Wizard - Label Wizard has been designed for speed and ease of use, you don't need to wade through a user manual the size of a phonebook in order to get great results. GSA Image Spider - With this program you can download all the images from a webserver automatically (with or without sublinks). Color Style Studio 2.2 - Create your own CD/DVD labels and CD jewel cases with the ultimate in ease and flexibility! Acoustica CD/DVD Label Maker 2.46 - Create your own CD/DVD labels and CD jewel cases with the ultimate in ease and flexibility! Photo Pos Pro 1.24 - A unique advanced Image and Computer Graphics editor solution powerful in images, photos and computer graphics editing. 3D Button Creator Gold 3.03 - It is a tool for calculating 3D buttons to improve the graphical impression of your homepage or your own program. 3D Box Maker Professional 2.0 - 3D Box Maker Professional is a system to help you create virtual packaging for your website or brochures. Corel Painter Essentials 4 for Mac OS - Create a painting from a photo on Mac in just three steps: Open the photo you want to paint in the Source Image palette. 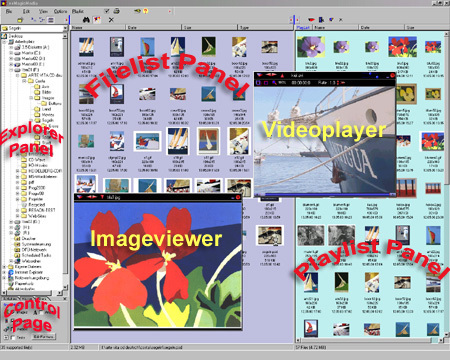 AKVIS Magnifier - a useful Photo Enlagement Software which can resize images without loss in quality. Color Correction Wizard 0.95 - Color Correction Wizard is a batch image processing program featuring a variety of functions. It makes batch color correction a snap! FaceFilter Studio Photo Editor 1.0 - It is a simple yet powerful application that allows you to change the facial features in digital images in such a way as to make them more attractive and beautiful. FotoBalloon Pro 3.1.0.4 - FotoBalloon is an innovative application that lets you add customizable text captions and notes in any of your pictures. Magic 3D 2.1 - Magic 3D is a powerful, virtual 3D stereograph maker tool. It can create the illusion of hidden 3D graphics by you. Paint Express 1.30 - Paint Express is a powerful and easy to use application designed to create, load, save, edit and print images such as icons, cursors and bitmaps. PixBuilder Studio 1.11 - PixBuilder Studio is a powerful and easy to use application for image creation, viewing and manipulation. 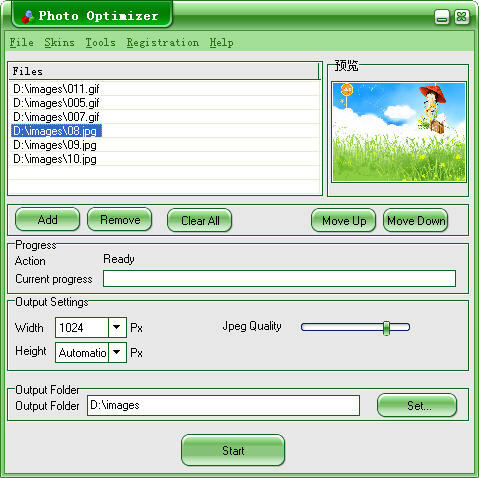 The program is ideal for working with digital photos. Pixel 3D 1.10 - Use Pixel 3D's powerful auto-tracing facilities to automatically convert your scanned or Windows Bitmap (.BMP) logos into 3D outlines. ReaCompressor 1.8 - All you need to do is just open an image you want to be compressed, compare file sizes of created JPG, GIF, PNG, TIF images and then save the most optimal result. ReaWatermark 1.2 - It combines simplicity and efficiency and simplifies the process of creating and applying watermark to multiple files in multiple folders. CD and DVD Label Maker 4.1 - This labeling software creates and prints CD labels, CD jewel case inserts as well as DVD labels and DVD case covers. Business Card Designer 4.0 - Business Card Designer is the complete Business Card Software for creating the perfect business card, no matter what profession or business you are in. 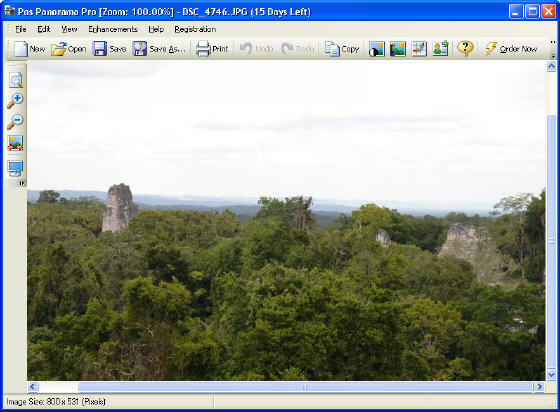 Digital Camera Poster Creator 2.51 - Create photographic quality posters from digital camera images. Tools such as crop, zoom and rotate customize your poster to any size, shape and composition. Capturix ScanShare 1.70.254 - With Capturix Scan Share you can share your scanner over the network, other users can use their own browser to access the scanner and take copies.